Hi Everyone!! 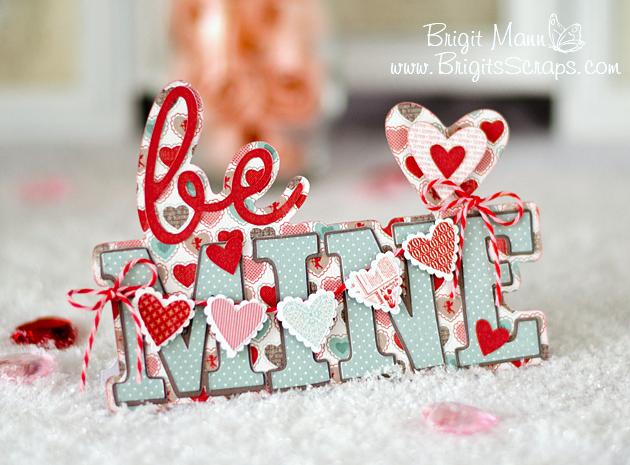 I'm guest designer today over at Fleurette Bloom's blog and I'm so excited to share this Valentine project using her files and digital paper!! 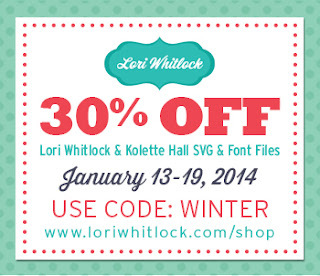 If you haven't been to her shop, definitely check it out, there are a bunch of wonderful cutting files and pretty digital papers, the store is really growing. 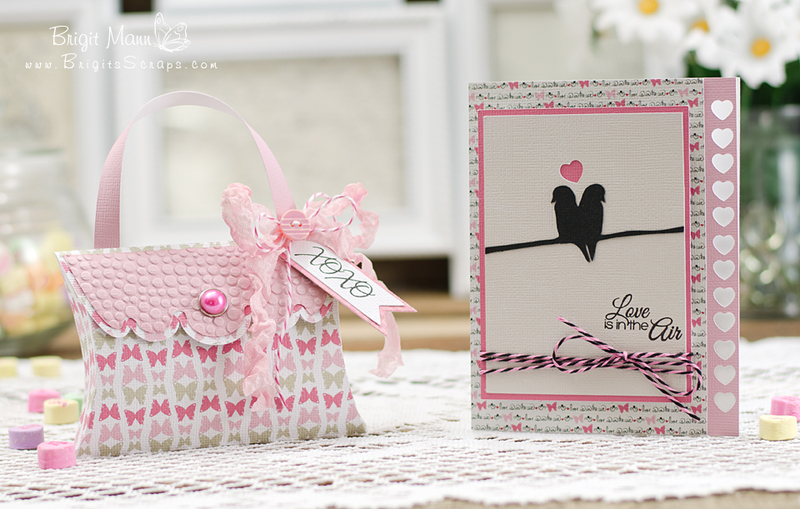 The purse if from the Pillow Box SVG Collection and the card is from the new Valentine Be Mine 3D SVG Collection. I've already used a couple of the pillow boxes from the collection it's definitely a must have. The digital paper is called Hearts A Flutter and I absolutely love it, very very pretty!! Digital paper is printed on AC White Textured Cardstock. I love how Fleurette designed this card, it's beautiful. 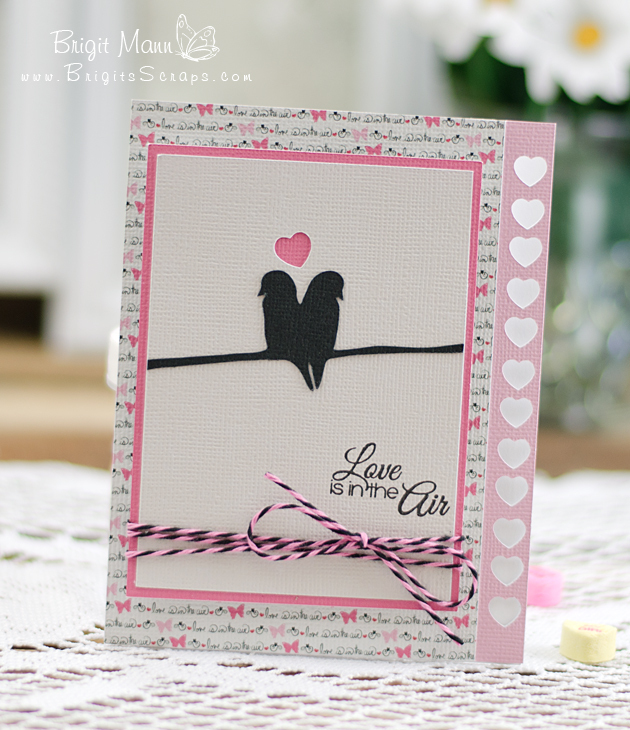 I move the little heart up some so I could use this stamped sentiment from Jaded Blossom's Simply Sayings Valentine's. I used some Pink Licorice Trendy Twine, it goes so well with these papers. 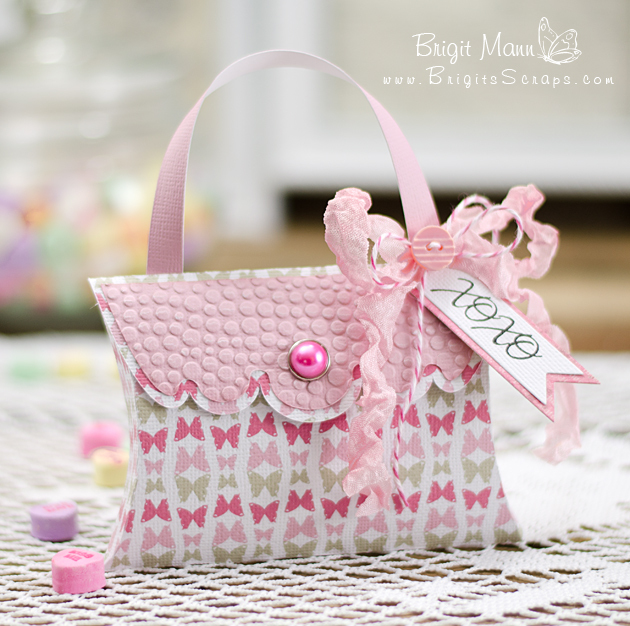 This pillow box purse is so adorable, a great little treat package. I added the pink top accent by duplicating the purse in SSDE and cutting the top off of one then doing an internal offset. The stamp sentiment is from the same Jaded Blossom Stamp set and I used their banner die also. The Trendy Twine is Strawberry Cupcake. Hi Everyone!! 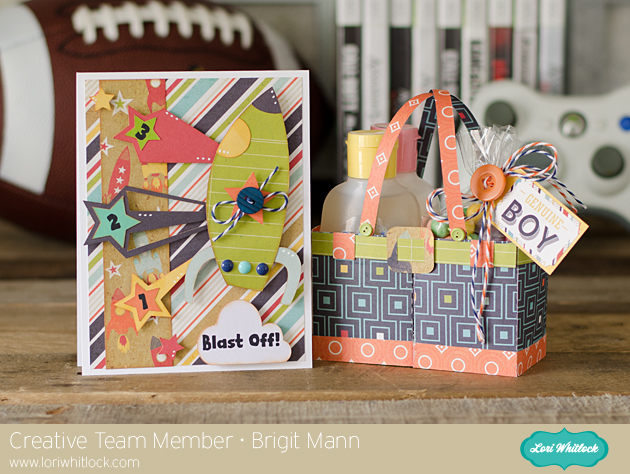 I'm so excited to be joining the Peachy Keen Stamps Creative Team!! I have loved their stamps since way back when I first started crafting with my Cricut, they were my first clear stamps. You can put a peachy keen face on anything and it just becomes the most adorable project. If you haven't seen them you really need to check them out, no cutting machine should be without them!! I made a special card today for the announcement, it's one of my all time favorite stamp sets and so perfect for this time of year of course!! The set is Hildebrandt Hearts, I've used it for Christmas, Valentine's day and even a winter birthday, it's adorable! 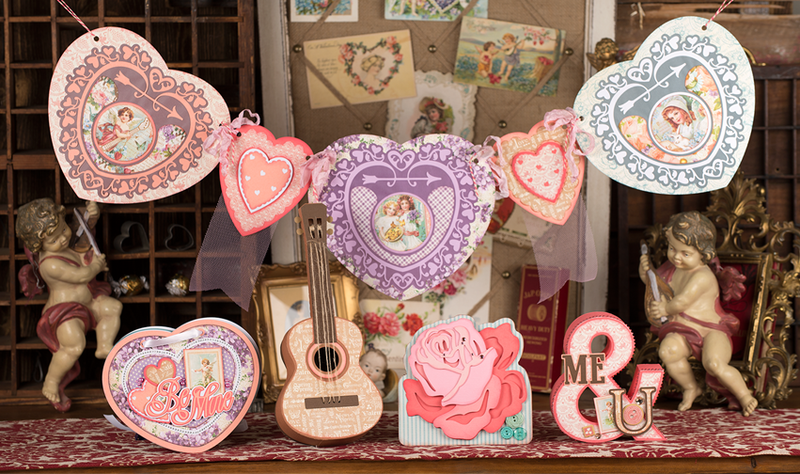 The Heart die cuts are from My Creative Time and the banner is from Jaded Blossom. The Trendy Twine is Peppermint Stick. 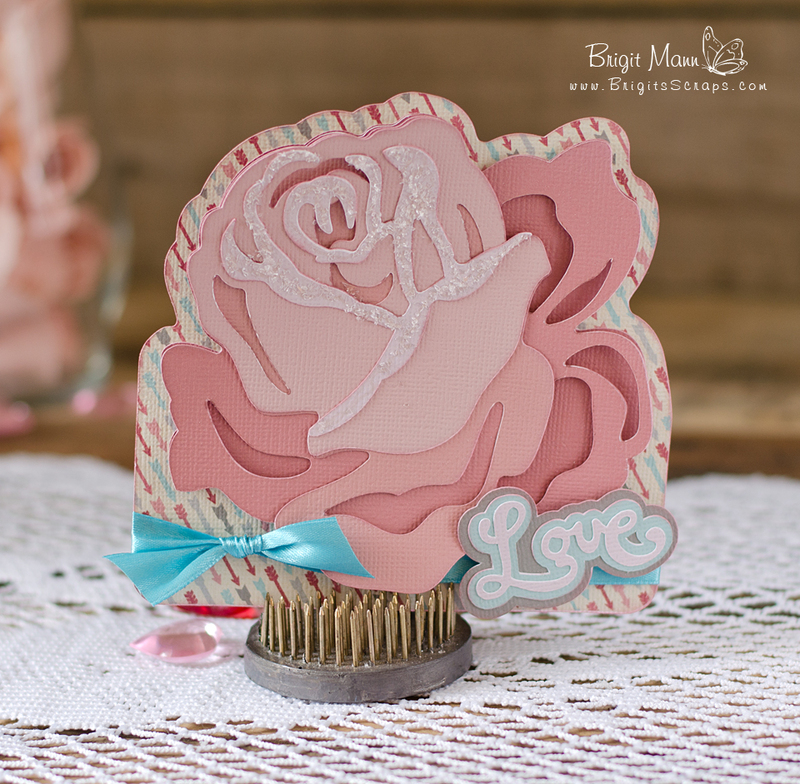 I love the rose card from SVGCuts new kit Vintage Valentines, it's gorgeous! Mary really did a wonderful job with the layers, it really adds beautiful dimension. I used Echo Park's Head over Heals pattern paper and choose pretty pinks for the flower to match. The Love is from the Smooth and Swirly Word Art Collection, I just cut off the rest and added some shadow layers, I thought it went well with the card. 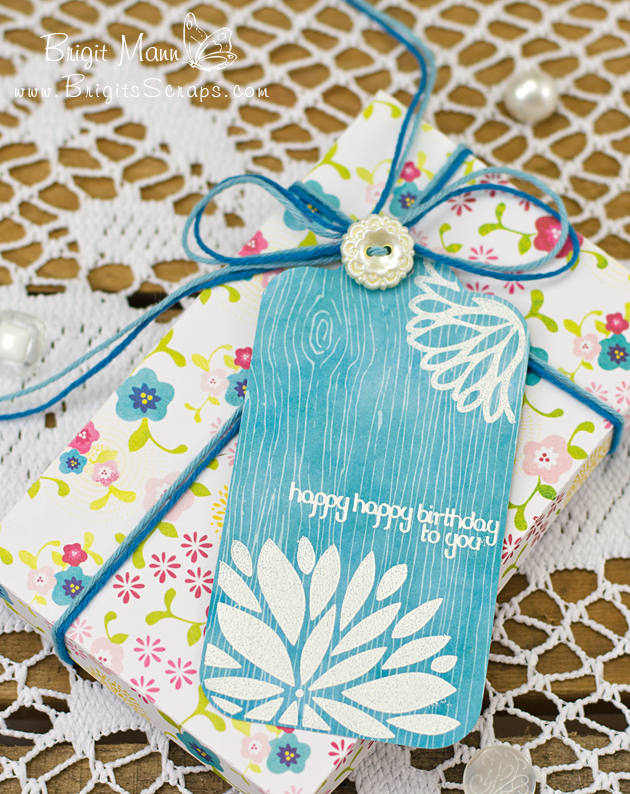 Here's a pretty tag using my Fiskars Fuse die and letterpress plate with some new Trendy Twine colors, Totally Sky and Totally Blue. I loved making this, first I love these two new twine colors and I love my Fiskars Fuse. The letterpress is so much fun to play with, being able to stamp emboss and cut all at once is awesome. The box is from Lori Whitlock's store and the paper is Echo Park's Here and Now, designed by Lori. The stamp sentiment is from Jaded Blossom's Sweet Birthday Wishes set. 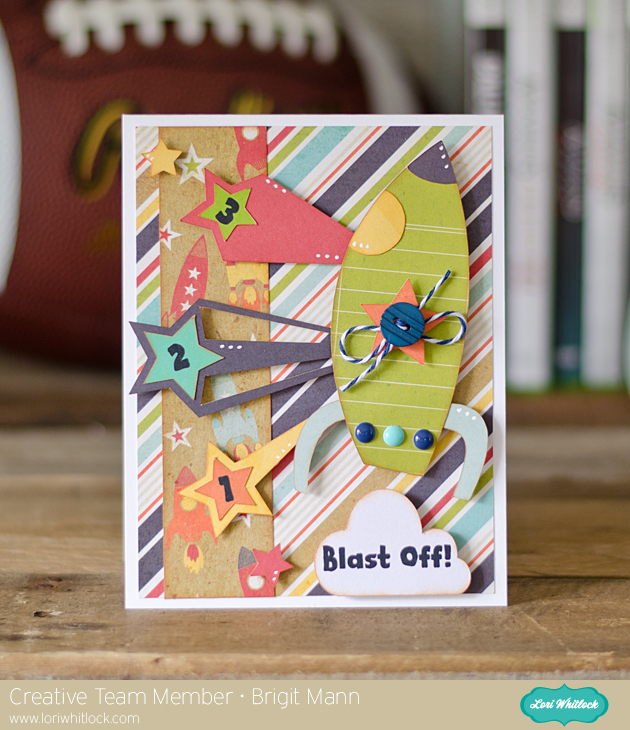 Hop on over and check it out, here's the card I created using this feature. I used the love birds file and the kiss me which is from the photo props set, both are from Lori's shop. 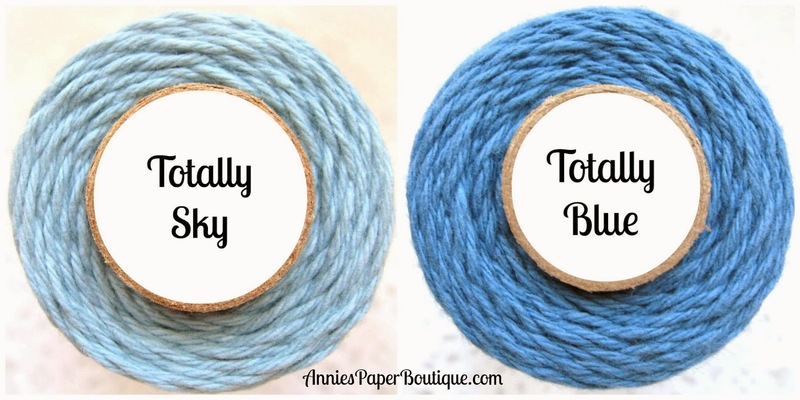 I added some of the new Totally Sky Trendy Twine which goes so well with Echo Park's Head over Heels paper. I hope you find the tutorial helpful. 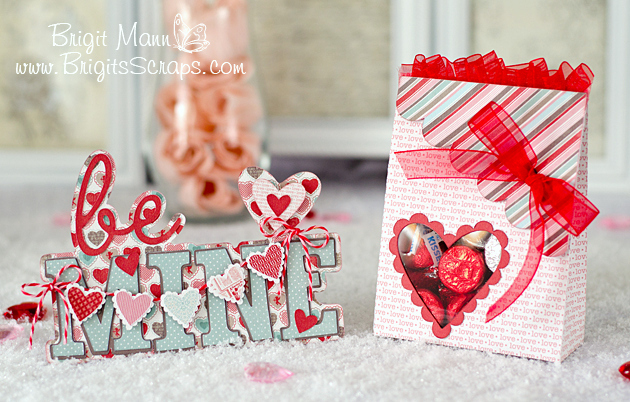 Here's a cute little gift set using some files from SVGCuts, it's my design team project for valentine's day. 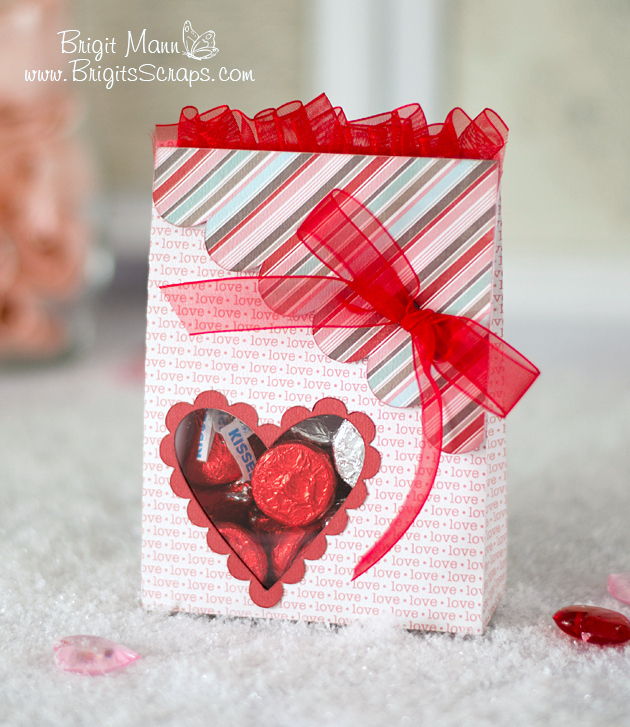 I used two different sets to create these, 24 Valentine's kit and Tied Surprised Gift Boxes. The digital paper collection I used is Carta Bella's Devoted. 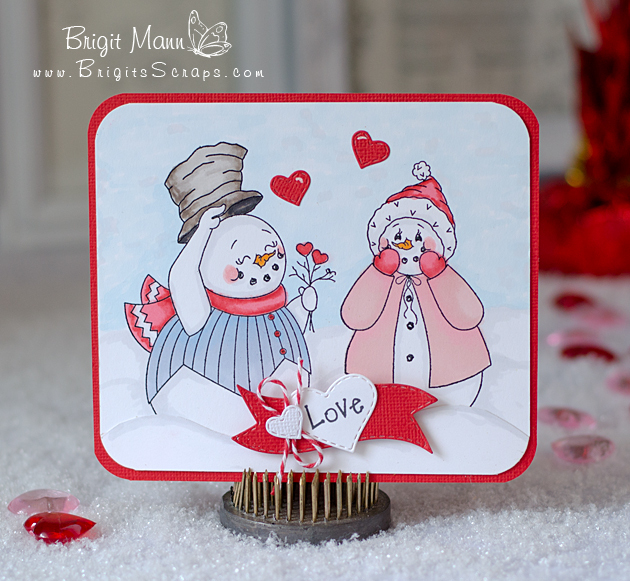 The card was created using the be mine from the 24 Valentine's kit, I just welded two back liners to for the card. For the banner I just glued the hearts on some Cherry Cupcake Trendy Twine, I love how it looks on the card! I added the heart cutout for valentine's day, the Tied Surprised Gift Bags is a nice set to have, you can changed them up for all occasions and the go together very quickly. I think Carta Bella's Beautiful Moments paper collection is one of my all time favorites, it's gorgeous, love everything about it!! I used SVGCuts tree topiary from the Catacomb Manor kit, I love this file and can be used for so many different occasions. I just added a border on the top of the pot. 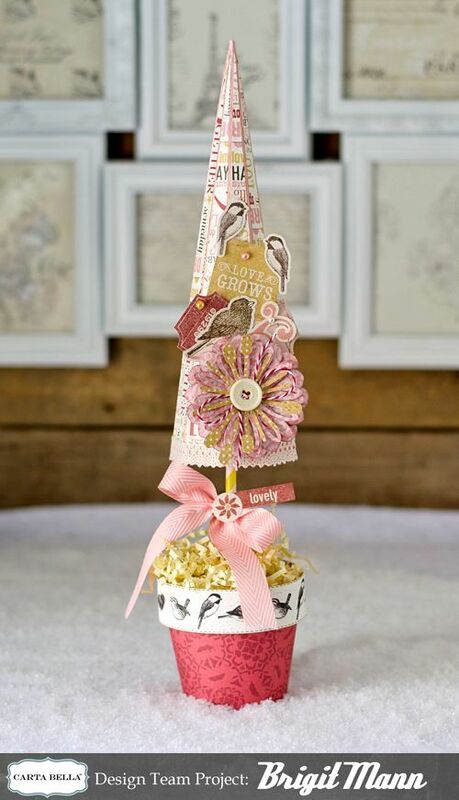 All the elements in this paper collection are so pretty, love the birds. 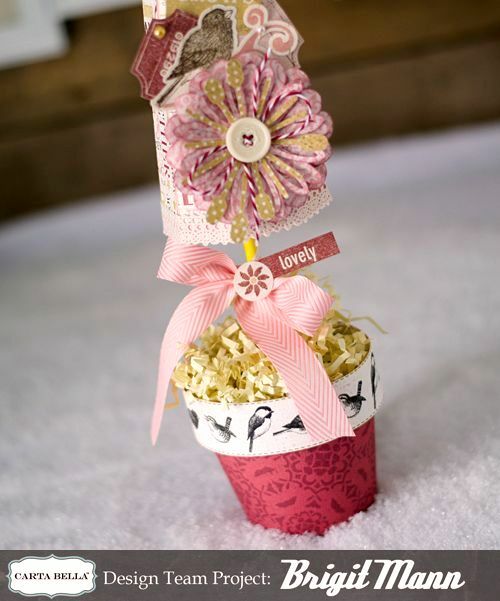 I used some Peppermint Stick Trendy Twine from Annie's Paper Boutique and pink May Arts chevron ribbon which is also from shop. 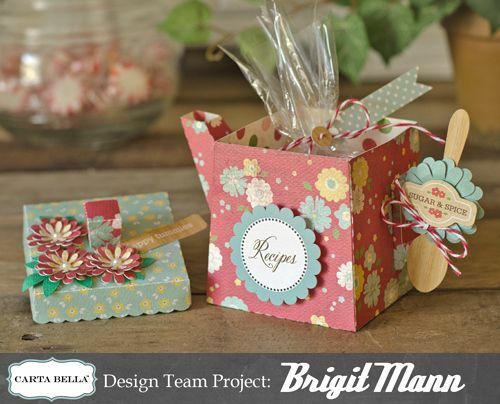 Here's my Carta Bella design team project which was posted on their blog. 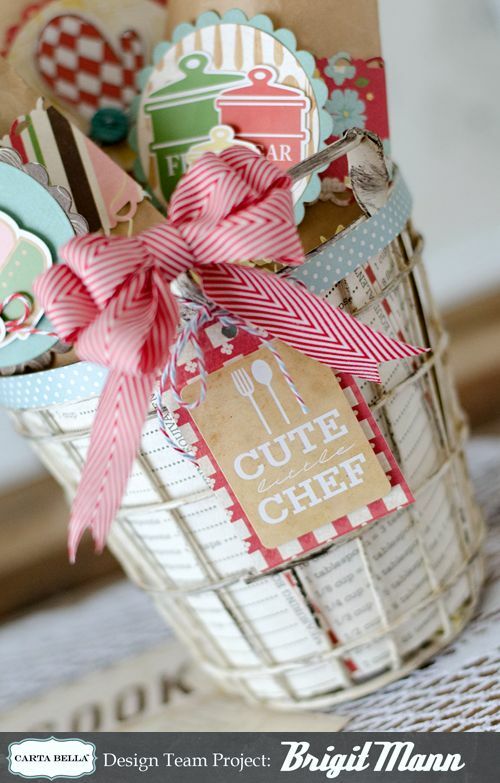 I used the fantastic paper collection Homemade With Love, such pretty papers, perfect for treat baskets or gifts for the cook!! 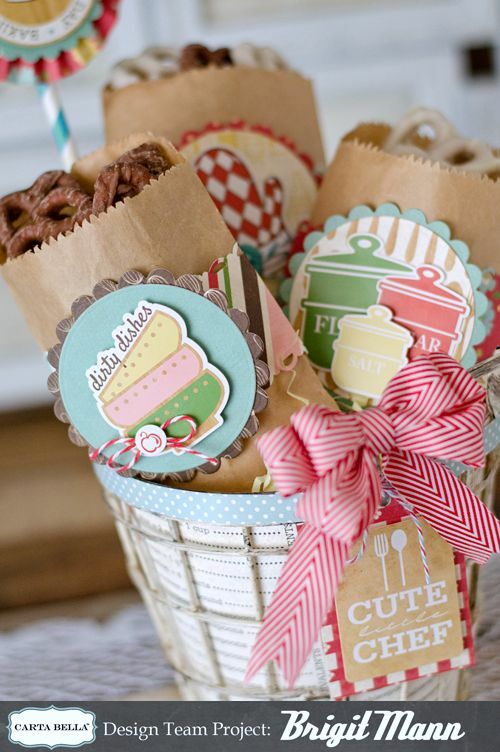 I loved putting this together, it's so much fun decorating kraft bags with pretty paper, my favorite. The bags are from Annie's Paper Boutique, I like to have a bunch of these on hand for my projects. I had this wire basket and thought it would look awesome lined with a sheet of paper. I made a cute tag from one of the elements, you can put a to and from on the back. 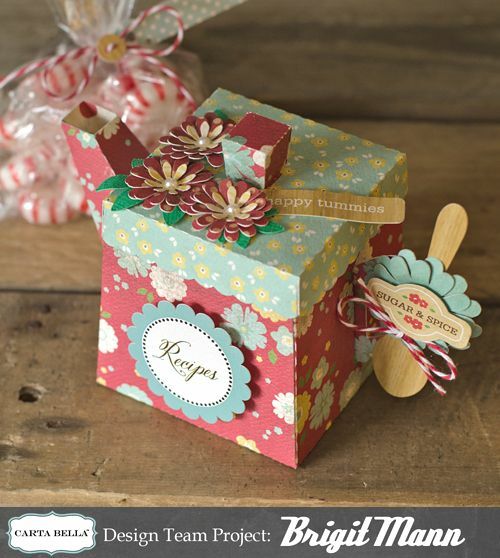 The Peppermint Icicle Trendy Twine really goes so perfectly with this collection, I also used some Berry. Just made some belly bands and decorated with elements from the collection. 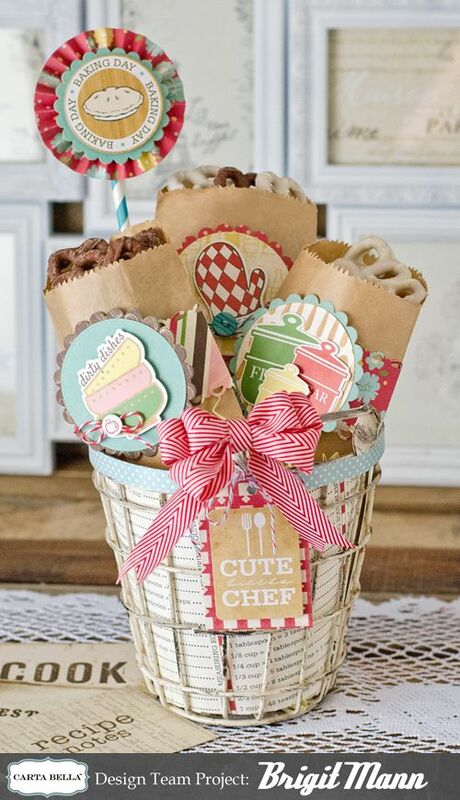 A fun treat basket using beautiful paper, can't beat that!! I have a list of supplies used on their blog. Two New Trendy Twine Colors!! Trendy Twine has two new colors out today!! Perfect for your winter projects!! Love these colors, both go perfectly with my snowflake below! I love the solid colors of twine, sometimes you just need that touch of color, it looks great against the white on this project. The Biggie Candy Chute box is also from Annie's Paper Boutique shop, it's a great size 1" x 1" x 8" perfect for starbursts!! More info at the challenge site. There's a $10 gift certificate up for grabs so don't forget to enter!! 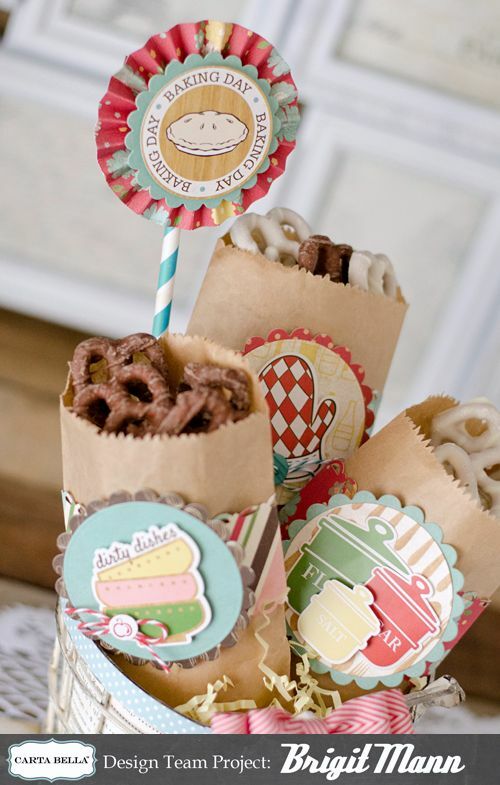 This set would be perfect for a birthday card or invitation and party favor also! I used some In the Navy and Orangesicle Trendy Twine on the bag and In the Navy on the card. The bag is actually the Santa pants treat bag, just using different paper turned it into these adorable little boy overalls. I added some candies and baby products, I also made it a little smaller so the two box legs fit on one 12 x 12 sheet of paper. The rocket and the star clusters can be found in the Silhouette Online Store. The little cloud of smoke under the rocket is from the summer icon set, I did a print n cut for the sentiment as well as the numbers. 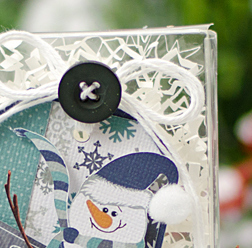 The Fiskars Fuse does an awesome job stamping and cutting on felt. 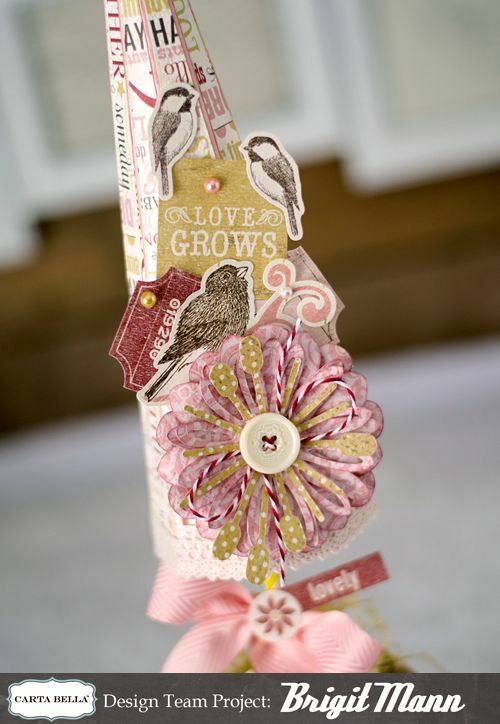 I used the mini flower die with the mini expansion set and for the leaves I used the wing from the bird die. I haven't tried the butterfly or bigger flower, they are only suppose to be for cardstock, so I don't think they will work, the ones with the black foam are for cutting other materials. Fiskars recommends fabric topped ink pads, I used mementos and they work very well. A black fiskars ink pad came with the machine and it works great, I'll order more when HSN gets them back in stock. The stamp sentiment is from Unity Stamps Lasting Thoughts set, which is only $13 right now. On all three of the buttons I used some Lemon Tart Trendy Twine. Paper is from My Mind's Eye Miss Caroline pad. I think I'll be making many more of these felt flowers and leaves, need to pick up more felt in some pretty colors!! To My Love, A Valentine's Day Card! A quick card using a Peachy Keen face stamp, Wide Eyed and Bushy Tailed and the stamp die and letterpress plate from the Fiskars Fuse. 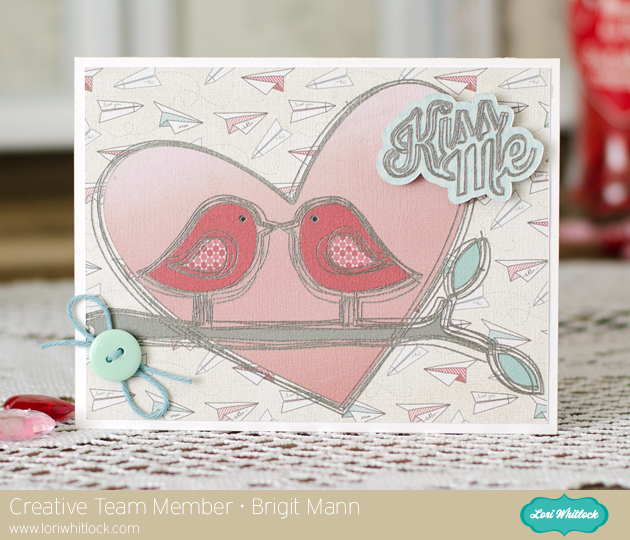 The stamp sentiment is from Unity's November 2012 KOTM. 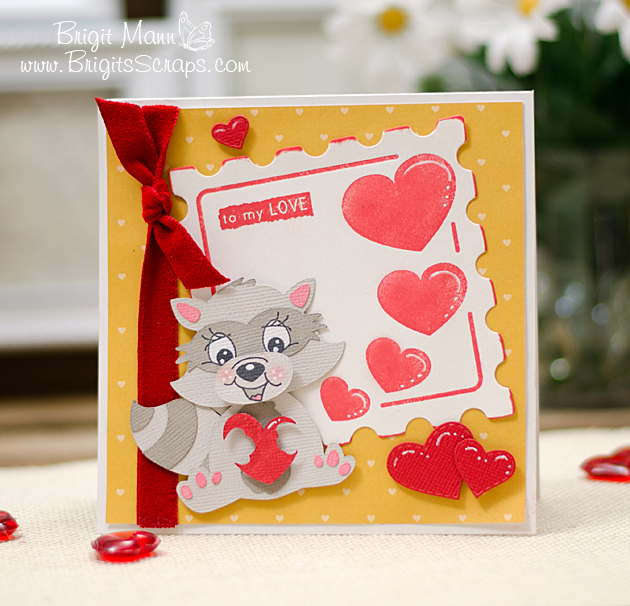 The cute little raccoon is from the Silhouette Online Store and for the heart diecuts I used the stitched heart dies from My Creative Time. 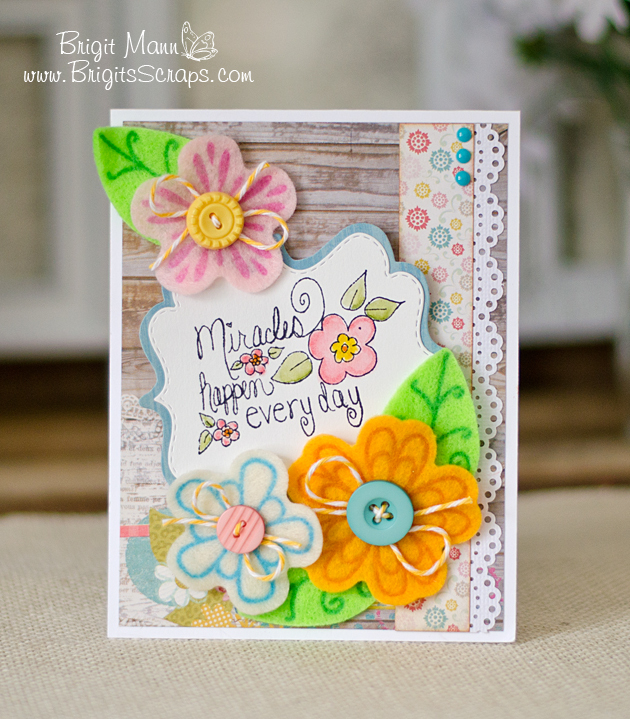 Here's my Carta Bella design team project that's over on their blog today. I used the pretty Homemade With Love Paper collection!! 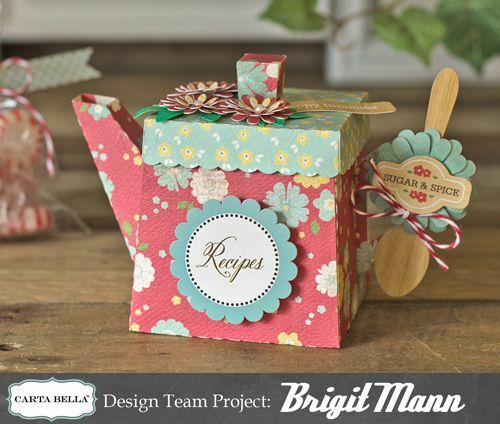 The teapot is from Lori Whitlock's shop, it's so cute and makes a lovely little gift box. I think it goes so well with this collection. 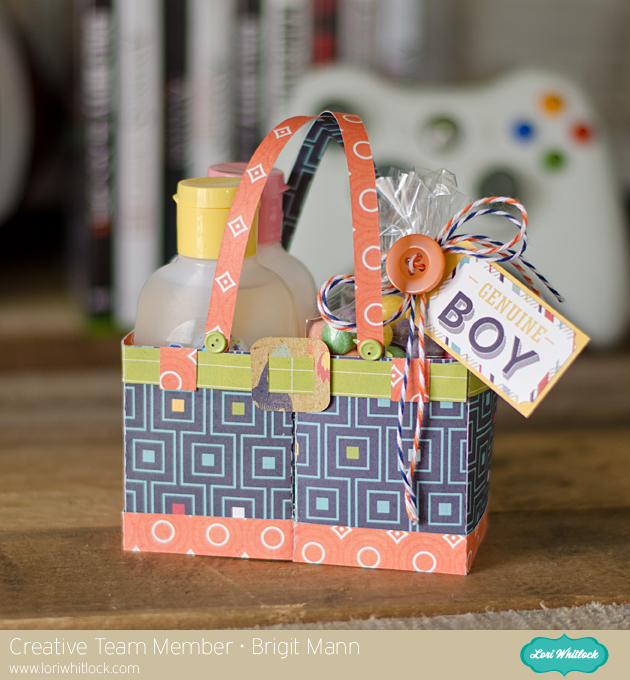 I really enjoyed making this project and using these pretty paper and stickers. The pretty flowers are from Lori's shop also, but that cute little spoon comes in the paper collection. 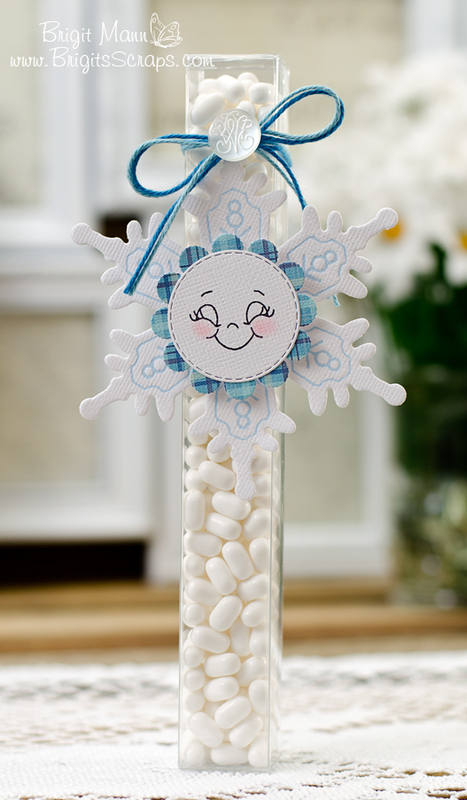 I used some Berry Trendy Twine on the spoon and also to tie the bag full of peppermints. All the other stickers are from the Homemade With Love collection.